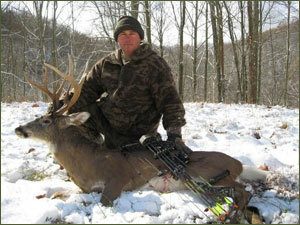 FREE West Virginia Bow Hunting Trip with Purchase! FREE WEST VIRGINIA BOW HUNTING TRIP! Receive a FREE 5 Day Bow Hunting Trip when you place a $20,000 order consisting of any combination of Anchor Bolts, Structural Bolts, Nelson Studs or any other product that BOLTCO of South Florida manufactures or distributes. You will hunt on a private 850 acre farm in North Central West Virginia with Bob Brincefield owner of BOLTCO of South Florida. EVERYTHING included except license and transportation. Place a $30,000 order and bring a friend! THE BIG DREAM FARM is a True Wildlife Paradise!